Colorado harbors a fascinating variety of bat species. But we still know relatively little about populations, maternity sites, and hibernacula in Colorado for many of the less commonly encountered species in the state. A deadly fungal disease of bats, called White Nose Syndrome (WNS), was detected in New York state in the winter of 2006-2007, and since that time the disease has spread across the eastern United States, and now threatens to enter Colorado. 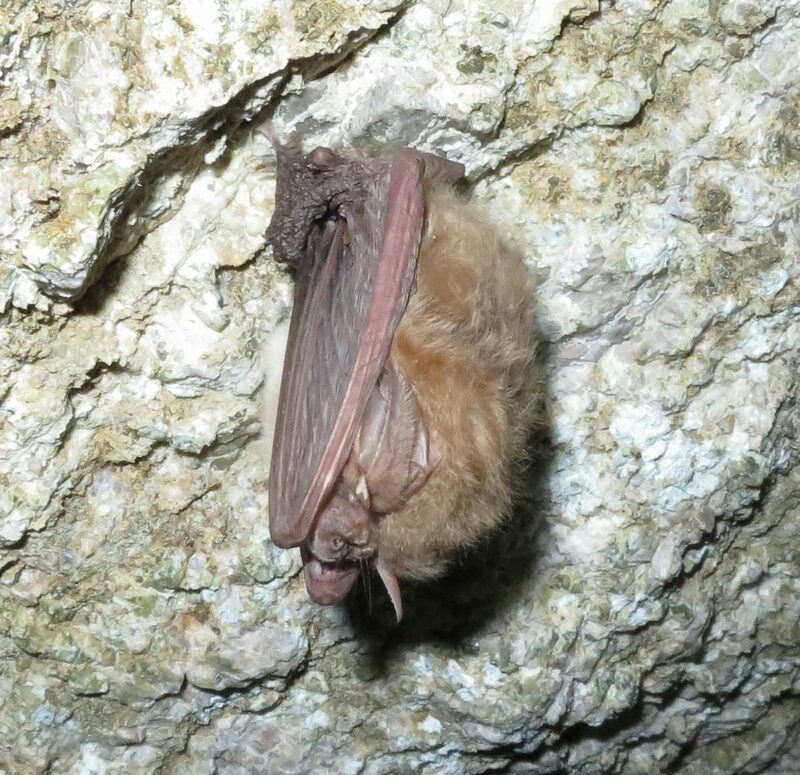 Various government agencies, institutions of higher education and other stakeholders have come together as the Colorado Bat Working Group to find the best way forward in managing and responding to this disease. Not all bat species are equally vulnerable to this disease. Lethal effects are almost completely restricted to bats which hibernate (other bats may migrate to warmer climates), and even among hibernating species vulnerability to the disease varies greatly. Townsend’s Big Eared Bat (Corynorhinus townsendii townsendii) in a summer day-roost in a western USA mine. The fungus that causes WNS has been detected on this species, but it seems not to be susceptible to the disease. Photo by Steve Taylor. Previously, I led a statewide bat survey and monitoring program in Illinois. If I’m able to secure a bit of funding, I hope to continue conducting bat research in Colorado, where I’m involved with in the Colorado Bat Working Group. Students interested in helping with this work are welcome to contact me (even though I don’t have a project up and running yet).